Rockport Dancer will be bred for the first time in 2019, and is booked to Eclipse Champion 2-year-old and proven Kentucky stallion Macho Uno in a Housatonic Recommended Mating — you can read why we picked him here. The cross produces an "A++" True Nick. 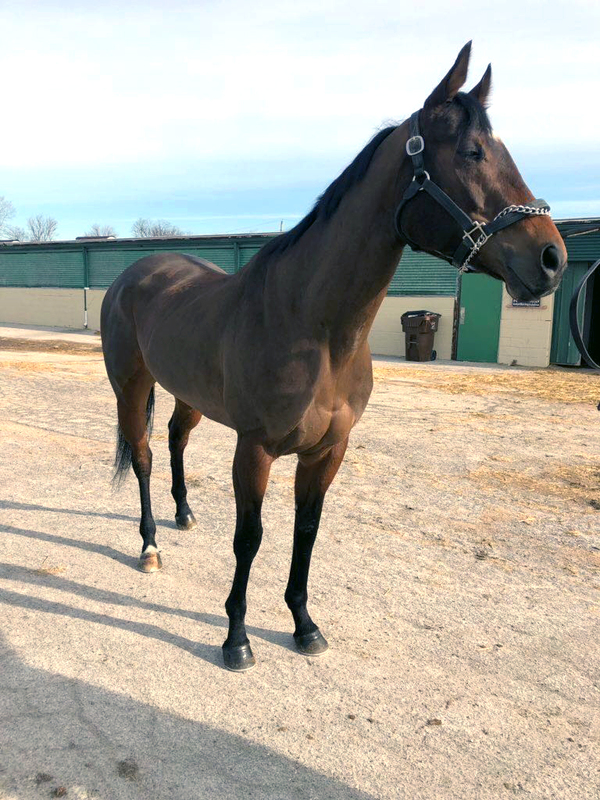 The mare is currently at Flying H Farm in Kentucky and will move to Greenmount Farm in Maryland after the 2019 cover from Macho Uno. 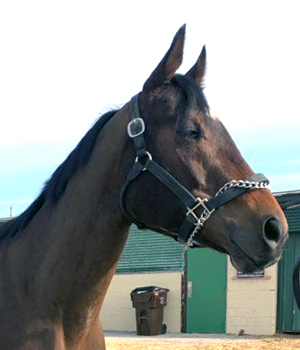 Stakes-placed twice on the dirt as a 2-year-old, Rockport Dancer went on to be a winner on dirt, turf and synthetic surfaces during a 34-race campaign in which she won or placed 14 times, earning a total of $99,673. Her wins came at 5-1/2 and 6 furlongs, at Santa Anita, Turfway and Woodbine, and she also placed as far as 1-1/16 miles. 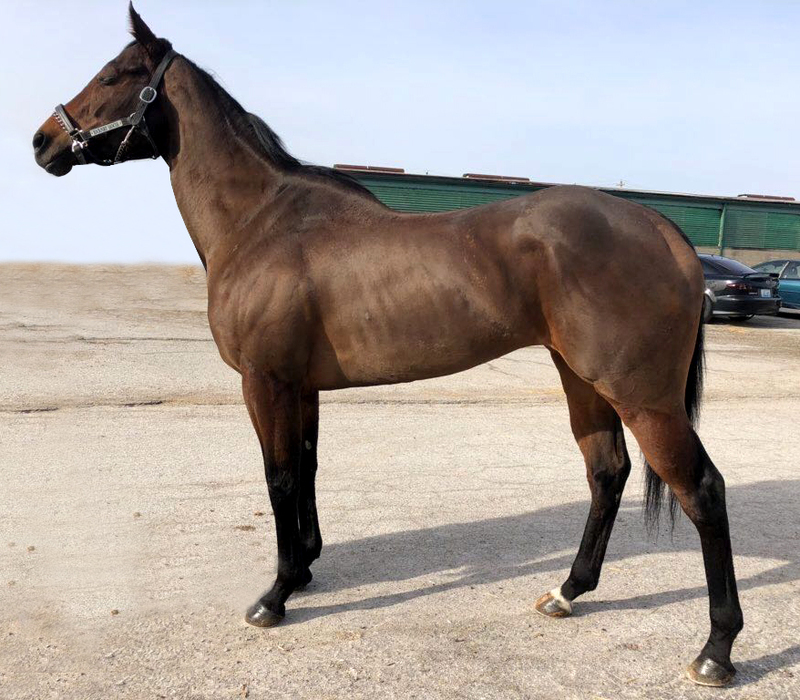 We are partnering for her breeding career with our friends at Wasabi Ventures Stables after she ended her racing career on a winning note at Turfway on March 16, 2019, for Nancy & James Adams. Rockport Dancer is by the unbeaten 2-year-old Rockport Harbor, he in turn a son of Unbridled’s Song out of a mare by Fred Hooper’s homebred product Copelan. Rockport Dancer’s dam is the Gone West daughter Andtheliviniseasy, who has also produced Rockport Dancer’s 2018 juvenile stakes-winning 3/4-sister Dancin Shoes (by Cross Traffic, another son of Unbridled’s Song). Andtheliviniseasy’s own dam is the Grade 1 winner Hedonist, herself a half-sister to Grade 2 winner and sire Seeking Daylight, and 2-year-old stakes winner Zaha — all of them out of the stakes-winning 2-year-old filly Play All Day. Rockport Dancer’s fifth dam is Canadian Broodmare of the Year Shy Spirit, who produced Canadian Triple Crown winner Izvestia plus three other stakes winners, and who is herself a half-sister to fellow Canadian Broodmare of the Year Passing Mood, also the dam of a Canadian Triple Crown winner in With Approval, plus G1 Belmont Stakes winner Touch Gold and three additional stakes winners. You can check out Rockport Dancer’s pedigree here.